May 25 2018 (IPS) - The vision for a sustainable future in Africa is being realized at a time of great possibilities and this vision is underpinned by a shift in continental focus towards sustainable and inclusive economic growth and development. This focus highlights strategic efforts towards poverty alleviation, resilience building, promoting sustainable infrastructure and, efficient management of natural resources. With this, East Africa stands as one of the fastest growing regions on the continent, with a projected economic growth rate of 5.9% in 2018 and 6.1% in 2019. Within the region, Ethiopia is amongst the top contributors to this growth, with notable growth in real gross domestic product (GDP) averaging 10.8% between 2003 and 2015 (Second Growth and Transformation Plan – GTP II 2015/16-2019/20). Ethiopia’s rapid development is largely attributed to a public investment-led development strategy that has produced tangible growth and has measurably improved social circumstances. These interventions have been guided by a series of targeted macro-economic planning instruments, namely, the First and Second Growth and Transformation Plans (GTP I 2010-2015 &GTP II 2015-2020), which outline the goals and benchmarks for Ethiopia to reach middle-income status by 2025. Still, while inclusive growth and development is occurring, it has been differentiated in terms of distribution of gains across geographical regions and socio-economic groups. 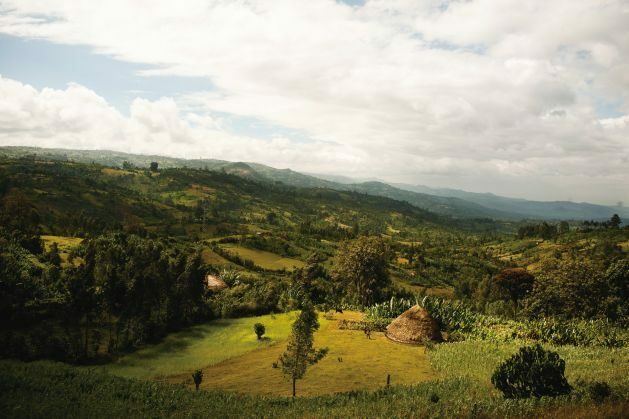 This is partly attributed to the fact that Ethiopia has one of the most complex and variable climates in the world as a result of its location between various climatic systems and its diverse geographical structure. Ethiopia, and its expanding socio-economic systems, are thus left vulnerable to adverse effects of climate change. So much so that by 2050, several key shifts in the climate are expected to develop, namely: Continued temperature increases; Annual rainfall variability and; Overall shifts in seasonal rainfall patterns. Thus, climate change has the potential to leave the goals of reaching middle-income status by 2025, highly susceptible – the negative impact on the GDP is estimated to possibly reach 10% or more by 2050 – leaving the most vulnerable groups disproportionately impacted. Recognizing the seriousness of this, Ethiopia stands committed to building a Climate Resilient Green Economy (CRGE), through developing a CRGE Strategy, which has been fully integrated into the GTP II at federal and sector levels. The CRGE embodies a political commitment to green growth nationwide as well as a realization that climate resilience is a core development priority for the future. The CRGE is anchored in the following pillars: Sustained economic growth, at an average of 11% per annum (in real terms); Protection from the adverse effects of climate change and build resilience and; Limited emissions for this development trajectory and achievement a 64% reduction by 2030. It is based on this that Ethiopia has submitted its Intended Nationally Determined Contribution (INDC’s), making it one of the first Least Developed Countries (LDC’s) do this, with one of the most ambitious targets set by any economy globally. 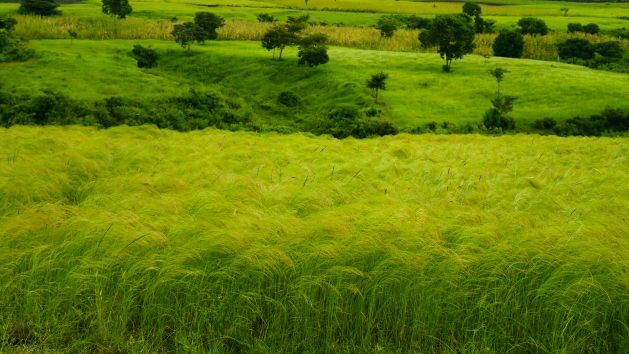 As such, the Global Green Growth Institute (GGGI) has been supporting the Government of Ethiopia since 2010, with the development and implementation of its CRGE vision and strategy – developed at sector level for Agriculture and Forestry (2014) and for Water and Energy (2015). GGGI’s in-country delivery model consists of embedded expert/advisory technical support and capacity building to support CRGE ambitions and remain responsive to the dynamic issues facing its full realization. Interventions are in fundamental alignment of CRGE strategic priorities, namely incentivizing targeted interventions and focused investment approaches that go well beyond the notion of ‘growth at all costs.’ Interventions are instead anchored in the principle of shared responsibility in building long-term, sector-wide resilience capacity to achieve carbon neutral growth. To help ensure the bold vision and ambitions of the CRGE are fully realized by all of its principal stakeholders, GGGI supported the establishment and operationalization of the CRGE Facility, the CRGE’s principal national financing vehicle, based in the Ministry of Finance and Economic Cooperation (MoFEC). This work has been focused on supporting the facility with positioning itself to mobilize and channel resources for climate action from domestic, international, public and private sector sources and the capitalize bankable green growth projects. In line with this, in 2015 and 2016, GGGI supported MoFEC attain direct access accreditation by the Adaptation Fund (AF) and the Green Climate Fund (GCF), respectively. Further, in 2017, GGGI supported the Facility with the mobilization of USD 60 million from the AF and GCF and mobilization of USD 75 million from bilateral development partners towards Ethiopia’s large scale Reducing Emissions from Deforestation and Forest Degradation (REDD+) Implementation Program. With all that said, as we move forward and continue to build on the milestones reached in Ethiopia thus far, we draw on key lessons to continue to develop, scale-up and replicate climate-smart interventions to collectively achieve transformation and advance green growth development in the country and on the continent at large. Our work moving forward shall continue to be focused on interventions that: Are aligned with Ethiopia’s key national strategies and implementation plans and anchored by its Nationally Determined Contributions (NDCs); Demonstrate real potential for transformational impact and; Demonstrate replicability/scale-up potential at national and continental levels, towards further unleashing climate smart opportunities in Africa.